The dandelion can survive in just about any conditions. It doesn’t need much. It survives either indoors and outdoors and only needs to be watered occasionally. 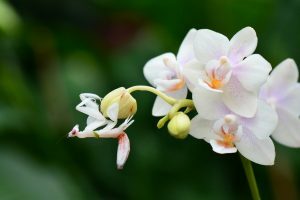 In contrast, the orchid needs certain conditions to thrive: a certain amount of sunlight (indirect), a very specific amount of water, and certain temperatures (ideally 60-62 F at night and 70-80 F during the day). The theory that some folks are more easily resilient, while others are more sensitive to their environment is based on an intriguing hypothesis by researchers Bruce Ellis and Thomas Boyce. You might conclude it’s better to be a dandelion: less sensitive and easily resilient. But consider this: while those who are born an orchid “will wilt if ignored or maltreated,” they also “bloom spectacularly with greenhouse care.” The authors write that under the right conditions, orchids are “a flower of unusual delicacy and beauty.” Under the right conditions, an orchid’s vulnerabilities transform into extraordinary gifts that are unparalleled. If given greenhouse care, they outperform their dandelion counterparts. Many of my clients are orchids treating themselves as dandelions. They’re exceptionally attuned to the needs of those around them, and give themselves the scraps at the end of the day. “My special talent is ignoring my need to pee for several hours while I tend to everyone else,” one client tells me. Truthfully, I’m taking some liberties with this research. I’m not so interested in whether or not you carry the CHRM2 gene. And I’m not entirely comfortable categorizing people in such a binary way. What I am asking you to consider is this: What would it take for you to not merely survive, but to thrive? What would your unique greenhouse look like? Maybe you’ve been surviving on…. …mostly 3 meals a day, but to thrive you need satisfying snacks in-between (including hearty snacks that look like mini-meals). 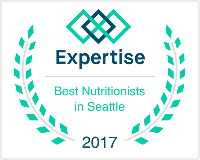 …Larabars, string cheese and trail mix on-the-go, but to thrive you need a minimum of 3 tasty sit-down meals (including a real lunch break). …near constant human interaction at your extrovert-driven workplace, but to thrive you need some downtime alone each day to recharge. …5-7 hours of sleep, but to thrive you need closer to 8-9 hours. …checking social media and web surfing as pseudo-breaks, but to thrive you need real breaks (ie. nap, walk outside, connection, meditating, reading for pleasure). …automatically saying yes and people-pleasing, but to thrive you need to practice healthy boundaries and learn the power of saying no. …tending to your kids’ need for play, but to thrive you need to make time for your own play. …trying to do it all yourself, but to thrive you need to ask for support (as a therapist once advised me: ask for 100% of what you want. #mindblown). 1. Stop comparing yourself to dandelions. Not helpful. 2. Give yourself permission to thrive. Simple, but not necessarily easy. If your “comfortable” baseline is chaos or merely surviving, taking the time for radical self-care will take you out of your comfort zone. You might feel like you’re being selfish, lazy, self-indulgent and bad. So notice the discomfort and try doing it anyways. Eventually, your comfort zone will expand to allow you to thrive. Remember that your wellbeing benefits everyone around you (especially your loved ones). 3. Take some time to reflect on what you need to thrive. What do you need to feel a sense of vitality, body and mind? Consider your mental, emotional and physical health. Consider the frequency (e.g. daily, 1-2x/week, monthly, etc.). As coach Tara Mohr advises, aim for “gift goals” rather than “should goals.” Obviously, your list is not set in stone. Revise it as you experiment, learn more about yourself, and your needs change. 4. Consider your Bare Minimum Needs for Self-Care. There will be plenty of times when life gets crazy or you go through a transition, and you’re unable to give yourself the greenhouse care you need. Prioritize the top 1-2 things you need to stay sane. For many of my clients, it’s sleep and eating regularly. Or maybe it’s joyful movement or meditation or journaling or nature. Whatever it is for you, prioritize your top thing, rather than succumbing to all-or-nothing thinking about your self-care. As a dandelion (wife), I am sick and tired of my orchid husband (who has FINALLY been diagnosed with BPD, which was due to people finally asking about MY experience and observations) constantly ignoring me and my needs, while telling me how superior he is due to his sensitive nature. While simultaneously depending on me to BE reliable and steady. I’m also tired of him noticing and being attentive to everyone else but me, despite my directly telling him what I need and when. I also don’t appreciate him insisting on “mind-reading” me. I know it surprises a lot of orchids, but you are not the focus of everyone’s thoughts, you do not drive the moods of everyone around you and just because you perceive an emotion doesn’t mean you are or know the source. If you rely on is to raise the kids, to keep our jobs, to hold everything together when you are admitted to the psych ward (6 times in 25 years), then just maybe we deserve some credit instead of being treated like gum on your shoe because we don’t cry as readily. If orchid people don’t appreciate us dandelions, I wish they would be honest, state it and move on without us stodgy people interfering with their dreams. Dandelions have hopes and dreams; we can get crushed and destroyed too!